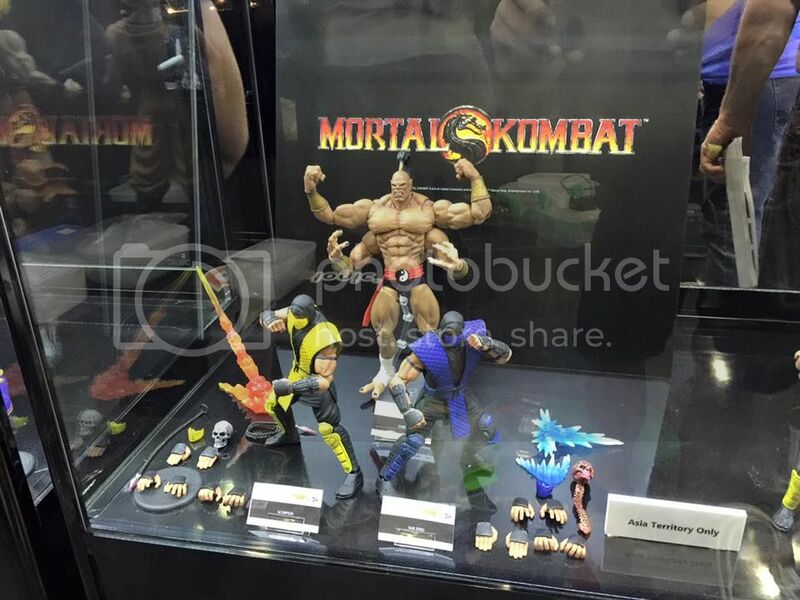 Storm Collectibles were at SDCC 2016 with their Klassic Mortal Kombat figures once again! 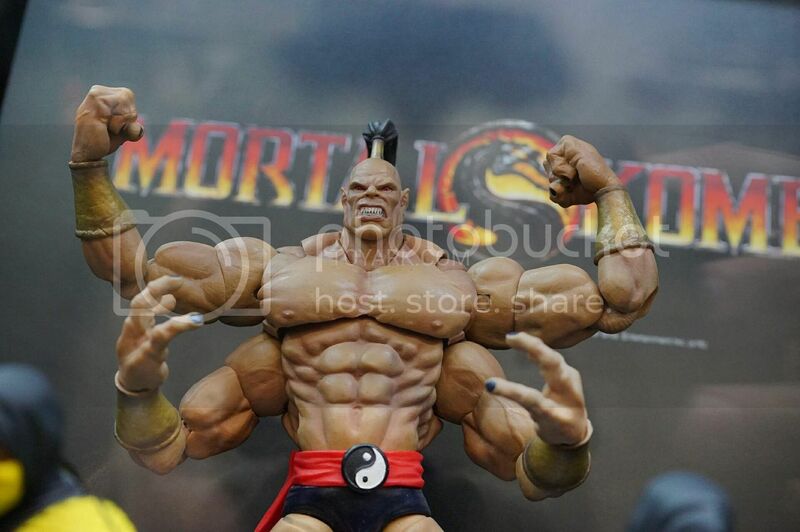 We have the 3 figures they have been showing for quite a while now..
Those who can't stand the joints aren't going to be too impressed but I like that Goro! They are doing him justice with that height! 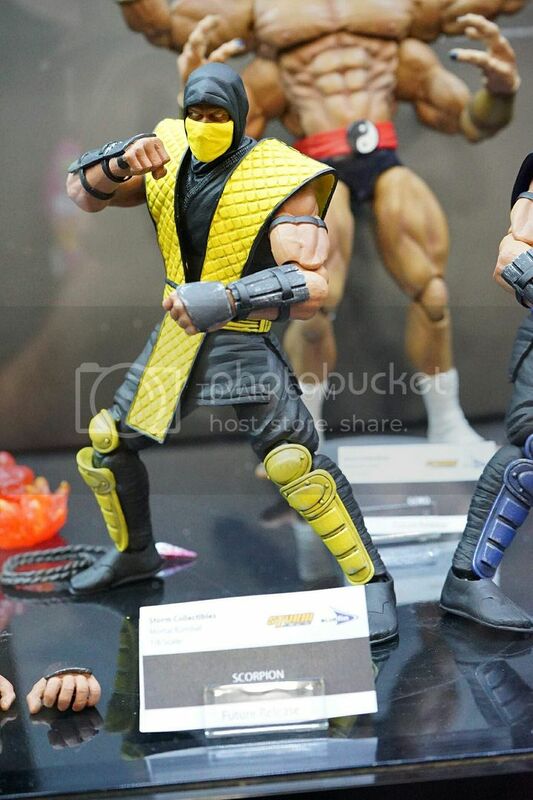 Scorpion & Sub-Zero are already up for pre-order and should be releasing later this year. 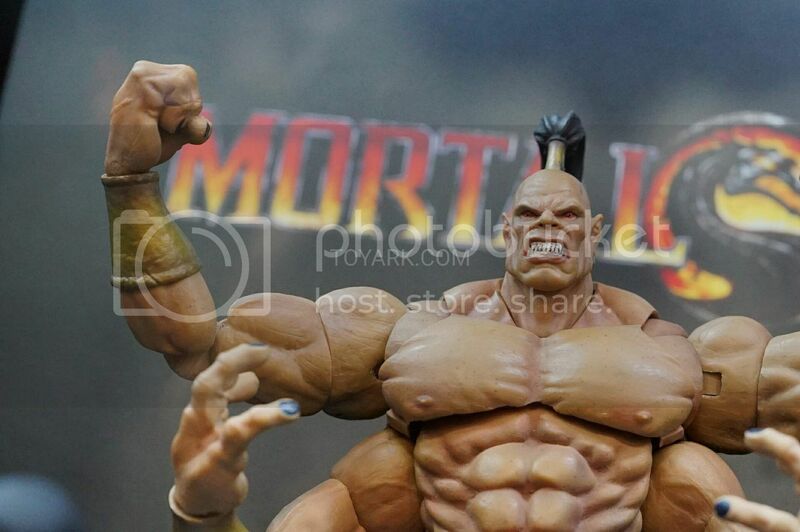 Goro's PO should be up next I suppose? 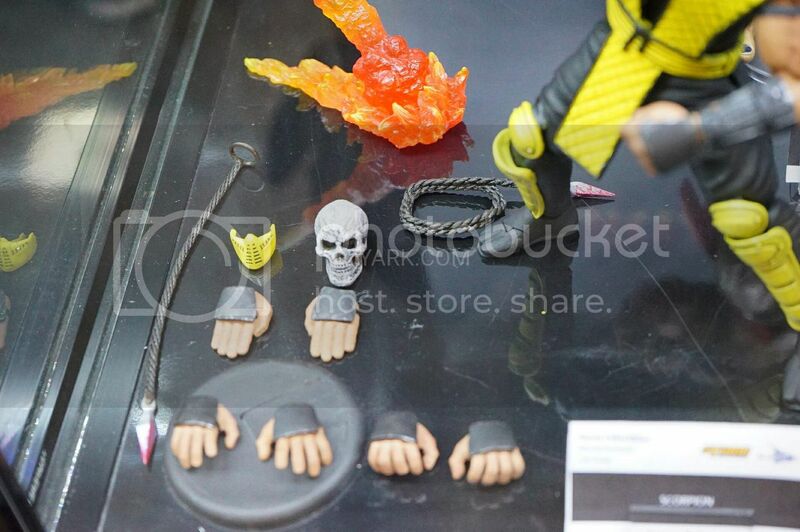 Here's a closer look at the Ninjas and their accessories..
Storm Collectibles also had the recently teased Shao Kahn up on display! Wasn't expecting this to be ready so soon but wow! 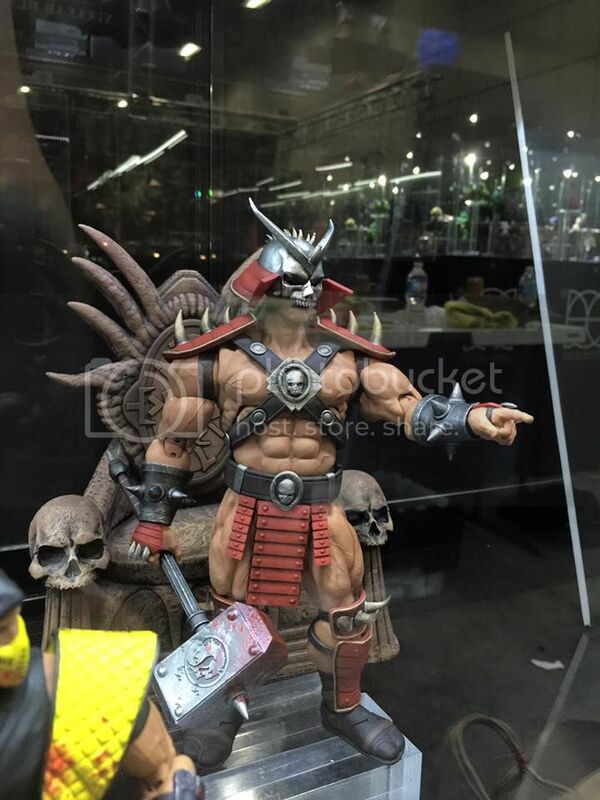 Shao Kahn looks awesome! The big question on my mind now is if the throne will be included with the figure? I certainly hope so! A bit of blood splatter on his iconic hammer as well.. 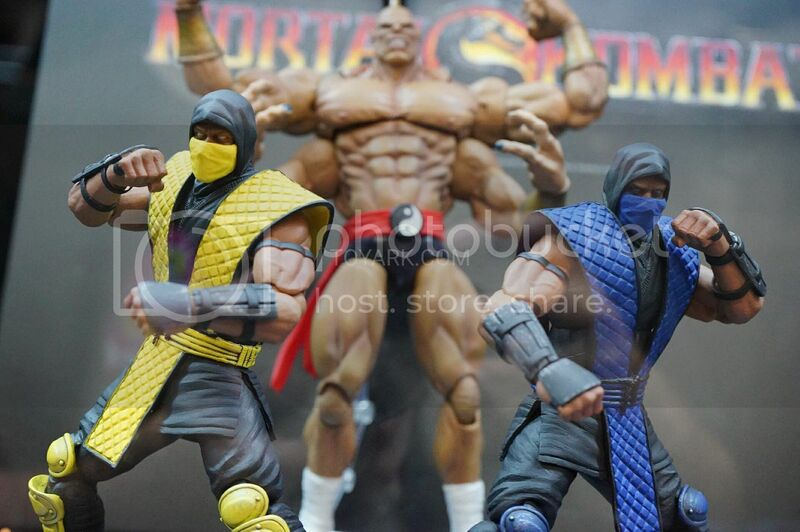 There's also a bit of blood splatter on these Scorpion & Sub-Zero figures. 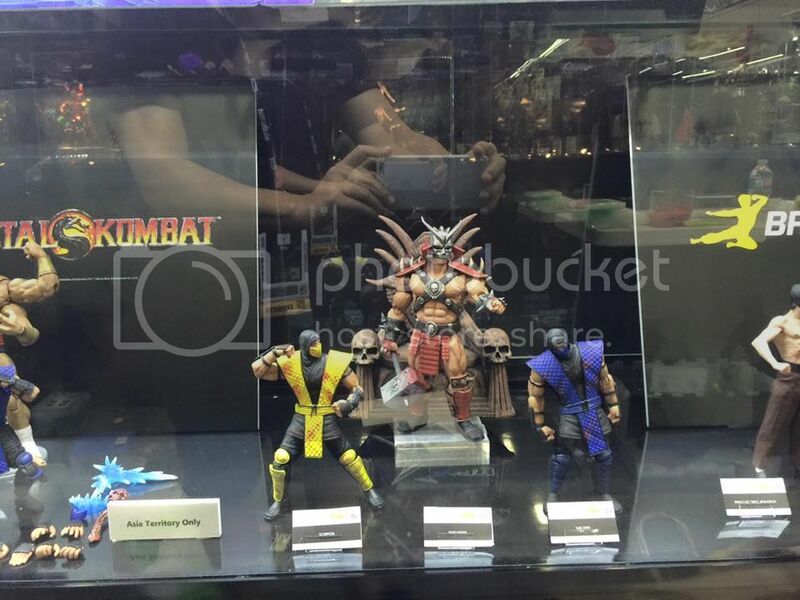 So, are there going to be bloody variants as well? Honestly, I'm not too excited by the bloody variants at the moment, I would rather they do more characters than variants. 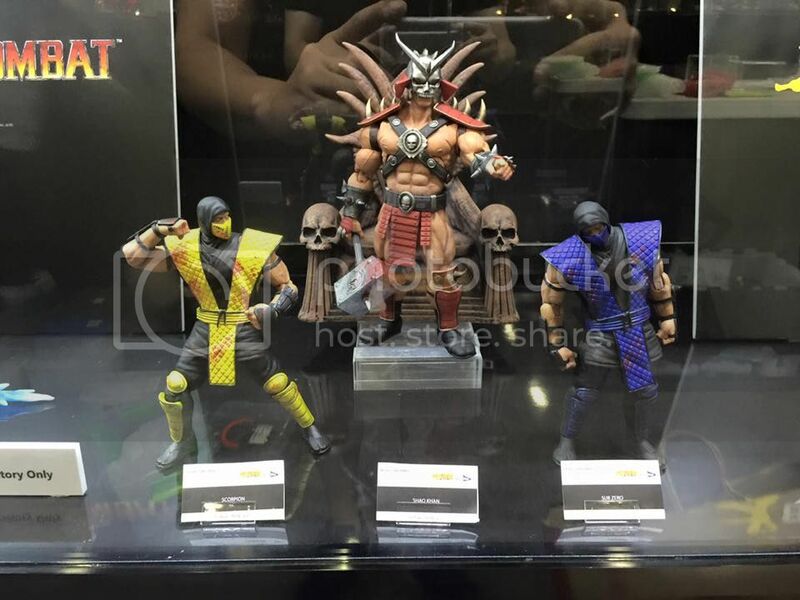 So often, companies doing Mortal Kombat figures come out with a lot of promise but kill the line after a few characters. These Klassic figures are leagues better than anything else that has come out in this size, although more expensive because of the more detailed 1/12 scale as compared to normal 6" figures. 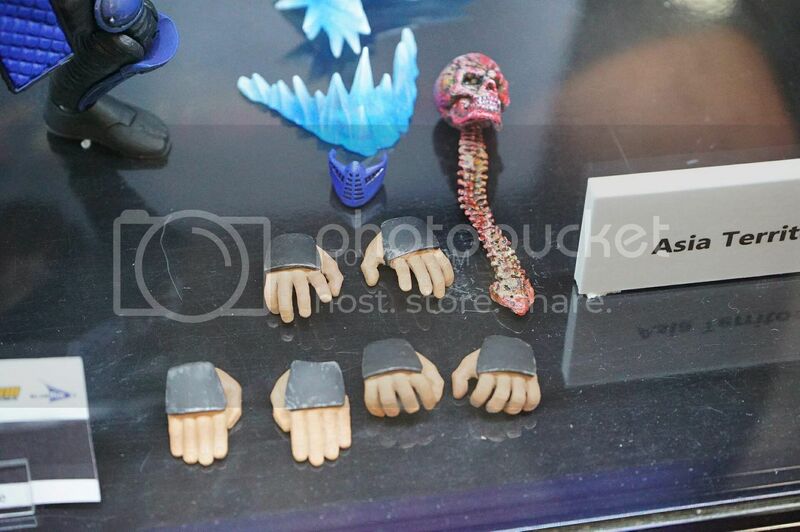 Collectors seem impressed by these so far and I'm optimistic that once we receive these, we will be more than satisfied with the quality. 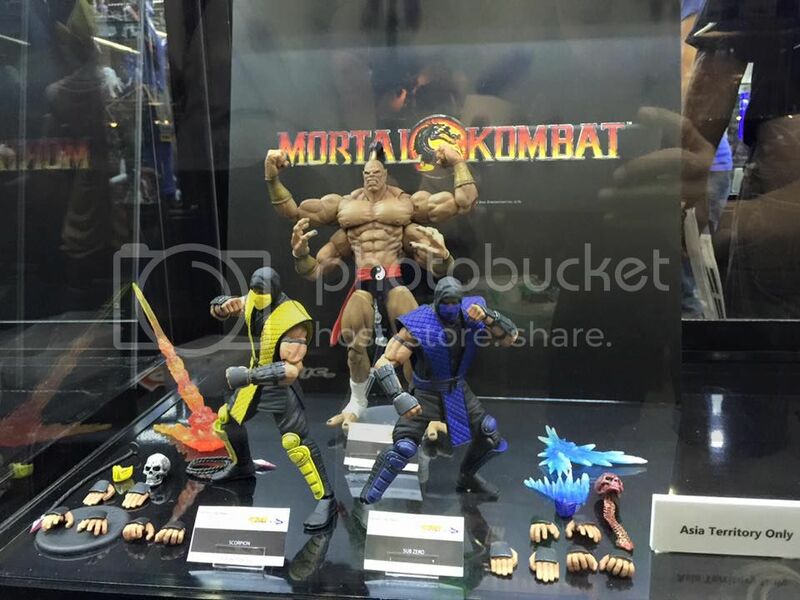 However, I sense some skepticism from collectors about how many characters we will see in this line.. 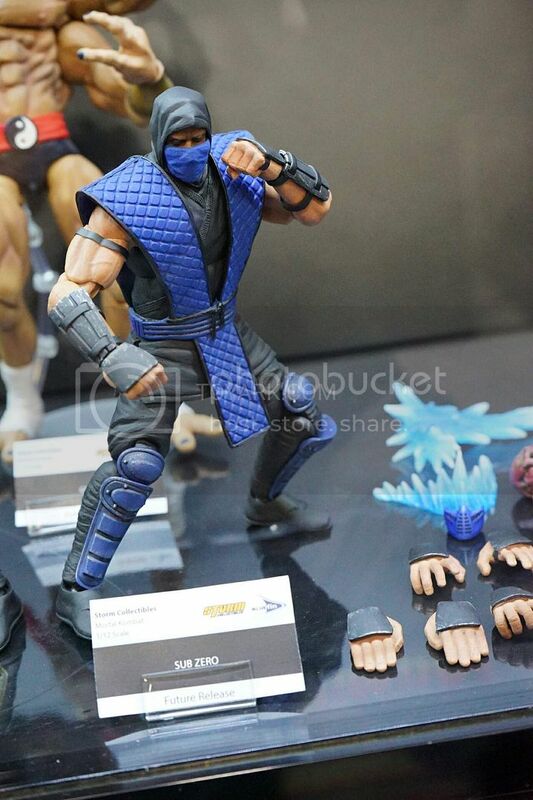 I have put my confidence in this line by pre-ordering both Scorpion & Sub-Zero, so hopefully I can finally get a good, solid line of characters from the Klassic games..
Don't wish to end this update with a sorta negative note so check out the video below..
At least we will get some really cool Mortal Kombat figures!